The Before and After School Care Program is licensed for fifty two children aged five to twelve. The program utilizes two licensed spaces. 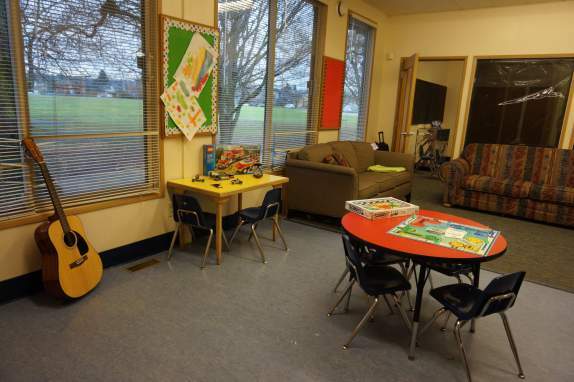 The Childcare building is licensed for twenty-seven children and is equipped with a wide variety of school-aged toys, furnishings and supplies. In addition to the main room the facility has two smaller rooms which support the needs of different age groups, activities and interests. 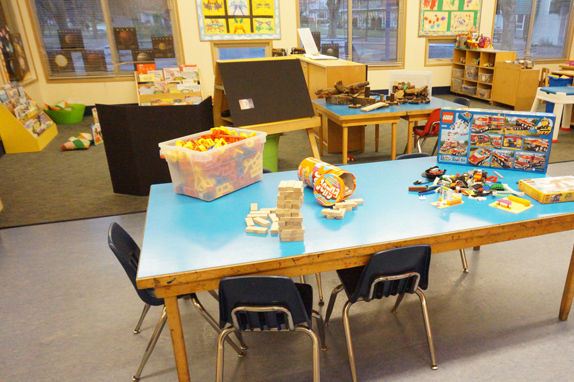 In Carnarvon Community School, the activity room is a designated licensed space for twenty-five additional children. Children in grades one to four meet in this space each day for a few minutes while attendance is taken. Daily programming utilizes a number of outdoor play spaces including the covered play areas, the black top, the park and grassy areas as well as the play structures as appropriate. Children have access to all sorts of outdoor play equipment including balls, hoops, skipping ropes, badminton rackets, hockey and soccer equipment, sand toys and sidewalk chalk. Kindercare is offered for families with children attending Kindergarten at Carnarvon Community School. The program operates before and after school as well on non-instructional days and during winter and spring break. Children enrolled in the Kinderc are program benefit from a small staff to child ratio and participate in smaller groupings. Programming includes a wide range of educational, recreational and social activities as well as indoor and outdoor free play opportunities. This is a very popular program which fills up quickly each year. In November, we begin accepting names of families who are interested in registering their child for Kindercare. Please call 604-731-7007 for more information. The Carnarvon Community School Programs Office offers a number of very popular after school programs for children in grades one to seven. These programs usually operate for one hour per week on Wednesday, Thursday or Friday and include a number of options including: Dance, Art and Crafts, Drama, Chess, Soccer, Basketball and Cartooning. If you wish to enroll your child in one of these classes, staff in the school-aged program will take your child to the class and pick them up when it is finished.